Andy has over eighteen years of experience creating award-winning interactive media. He is a Creative Lead at Google where he helps infuse personality into the Google Assistant. Prior to this, he was an Executive Creative Director for Favorite Medium, a global design and technology agency with offices in Seoul, Singapore, Tokyo, and the San Francisco Bay Area. Work included cutting edge digital products and websites for Steelcase, Abbott Diabetes Care, and UCSF. Before that, Andy worked as a creative director at Funny Garbage, an interactive agency in New York City. This position afforded him the opportunity to work with some of the largest brands in the world, including the Smithsonian Institution, Cartoon Network, Noggin, The-N, Wenner Media, Lego and Turner Broadcasting. His vision and strategy is showcased in apps, websites and on air content for these powerhouses, among many others. Andy’s experience leads him to understand the nuances required for high profile clients. He knows both how to set and exceed big expectations, and how to merge creativity with attention to budget. And he’s passionate about not only keeping up with industry trends, but dictating them. With every job, Andy consistently strives for innovation and excellence, and this drive has paid off. Andy’s work has garnered several industry awards, including Webbys, 21st Annual Mark Award Golds, and an Emmy. Andy’s friendly manner, coupled with his ability to see and shape the big picture, inspires confidence in both his clients and internal team. Colleagues describe him as “a great creative partner,” “extremely motivated” and “brilliant.” He’s both relaxed and engaged, and confident enough to embrace other points of view. His personality, combined with a tireless work ethic, make him an ideal leader. Andy uses these same leadership skills to nurture the next generation of design professionals. He was an Adjunct Professor at the School of Visual Arts in their MFA program Designer as Entrepreneur, headed by Steve Heller and Lita Talarico. In addition, he was as a thesis advisor for graduating students, helping them shape and prepare their projects for public presentation. Andy is the co-author and co-designer of a book published by Rockport Press in 2012. Titled Interactive Design: An Introduction to the Theory and Application of User-Centered Design, it’s aimed at college students and young professionals. He's also the co-instructor of an online workshop for Creative Live entitled Modern Web Design Demystified, which teaches students how to collaborate with both developers and clients in order to create successful products. In addition to all of the above, Andy is a well rounded guy. He’s a father, a husband and a street hockey player. He once made a suit fashioned entirely of duct tape, and he’s got a sweet tooth that would make most dentists cringe. He lives in San Francisco’s East Bay with his wife, designer Sarah Coombs, and their young son and daughter. What people skills would you want for your younger self? The value of realistic made-up content in usability testing. Design Milk, Design Work Life, Print & Pattern, Herman Miller Blog, The Daily Heller and the publications below. Check out the fun talk I did with my team at Google I/O 2018 about building games for the Google Assistant. Learn how to communicate effectively and design engaging experiences. 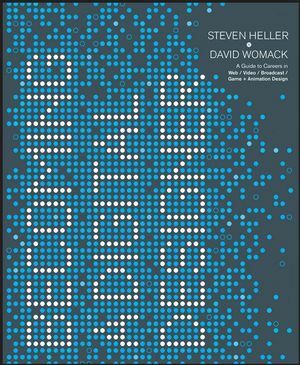 In this book, Andy and co-author Jason Nunes take a unique approach to the study of interactive design. They examine the user-centered design process from the perspective of a designer. It was published by Rockport Press in September 2012. Excited to be included in Print Magazine's 2017 Spring Issue “How San Francisco is Defining Design.” Check it out!